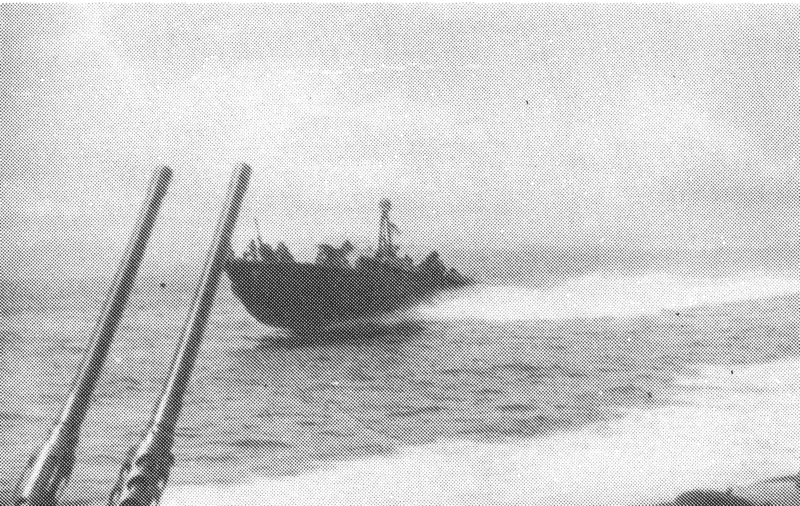 During World War II, American PT boats engaged enemy destroyers and numerous other surface craft, ranging from small boats to large supply ships. PT boats also operated as gunboats against enemy small craft, such as armored barges used by the Japanese forces for inter-island transport. 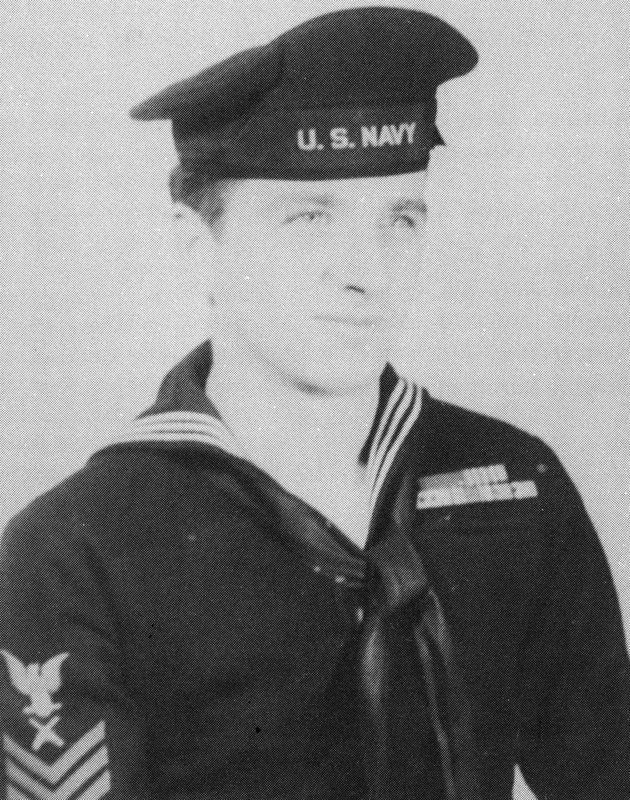 1943 Fought aboard PT189, in Pacific. 1945 Recommended for Bronze Star. 1957 Elected for one year term as Selectman for SalisburyMass. 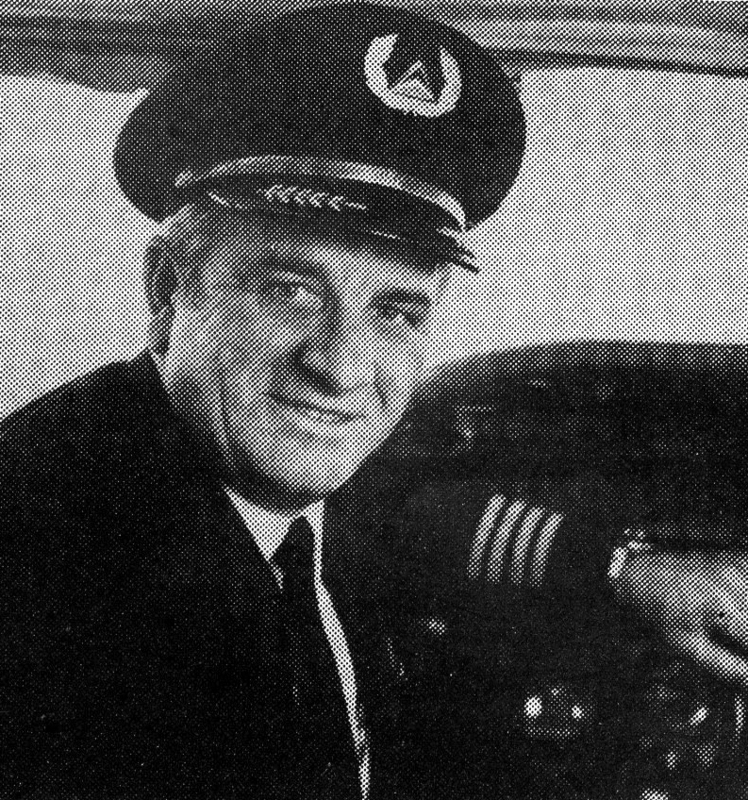 1965 Chief Captain at Boston Base (over 400 pilots). Chief at Miami Base (600 Pilots). 1973 Bought Boghall in Oughterard. 1984 Retired from Delta as L1011 Captain. 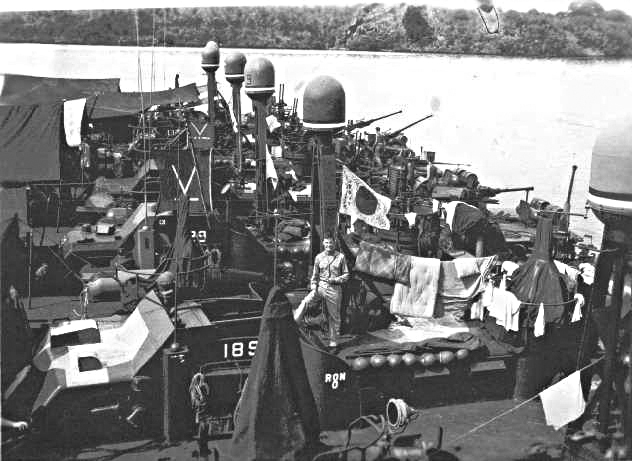 On the afternoon of the 30th December 1944, PT189 came to the assistance of USS ORESTES which had been severely damaged in a Kamikaze attack at MargarinBay in the Philippines. “Aware of personal danger to himself in struggling with frantic survivors and the possibility of 80,000 gallons of 100 octane gasoline carried as cargo aboard the USS ORESTES exploding, dove into the water and towed survivors to the PT189 where they were taken aboard and treated for burns, abrasions, shock and wounds resulting from the exploding ammunition”. “DELTA is an air line run by professionals like Russ Worth. Russ made his first airline flight over 22 years ago. Since that time, he has flown the DC-4, the DC-6, the DC-8 and the DC-9 jet. Now he’s a DELTA 727 Captain with over 15,000 hours and 6 million miles under his seat belt. Russ Worth is a Captain you can count on. And DELTA has over a thousand more like him. Phyllis and Russell endeared themselves to everyone from the very beginning. Russell became actively involved in community affairs from the start. He was involved in the Angling Club, the Show Committee and the TidyTown’s Committee. He was a familiar sight in his overalls with a can of paint and brushes in his hand. He painted all the park benches, water pumps, the Boat House building and gave a new look to old ruins within the town. He picked litter and kept a watchful eye on litter black-spots in the town. He took great pride in his adopted village. Russell was a kind, honest, generous man who willingly helped all who sought his assistance. Russell was a dear friend of the late Tommy and Evelyn Tuck. At dinner one evening they were discussing their respective ancestors. 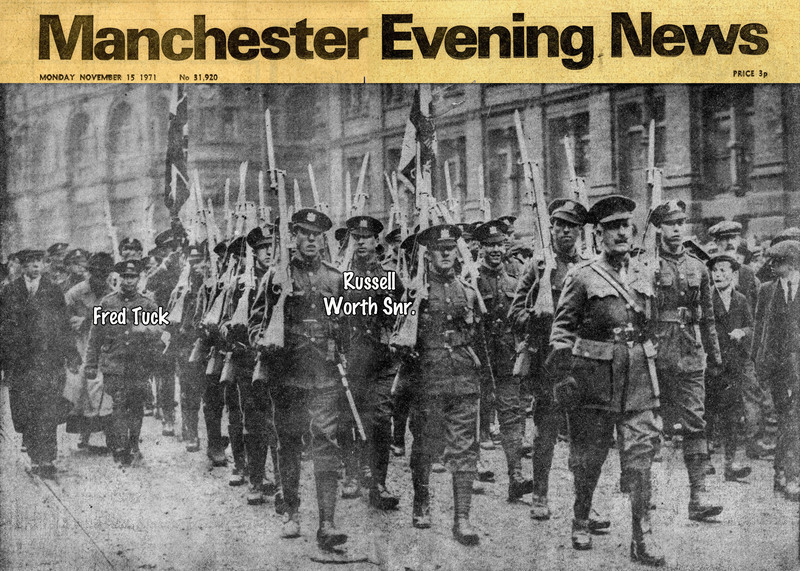 Tommie produced an old newspaper showing his father coming back from World War1. 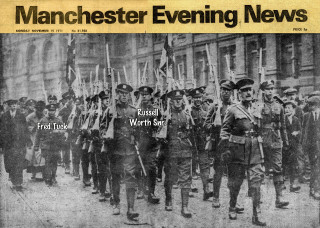 Russell to his amazement recognised his father, Russell Senior, marching to the extreme right of Fred Tuck, Tommy’s father. Their fathers belonged to the same regiment who fought side by side in World War 1 in Belgium. They were sappers – they dug tunnels under German trenches during the war. Russell and his wife Phyllis left Oughterard and settled in Florida. They still keep in contact with Tommie Tuck. Note: Extract from “The Oughterard Newsletter” 1994. This page was added on 09/07/2011. The soldier immediately to the right of the word ‘Snr’ is my Grandfather John Thomas Roberts.